Functions: The large handles allows the child to fully grip with both rightand left hand. 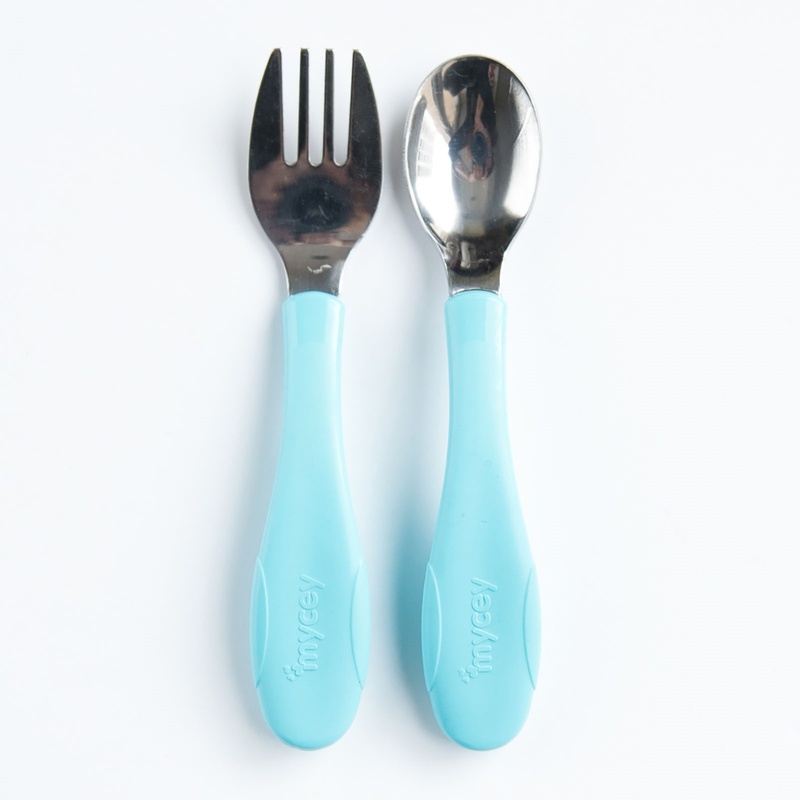 Steel set helps babies transition to self-eating and using adult cutlery. The deepness of the spoon had been designed with the portions of the children. The teeth of thefork is rounded for safety. Benefit: The set is ideal for little ones that are ready to eat ontheir own. 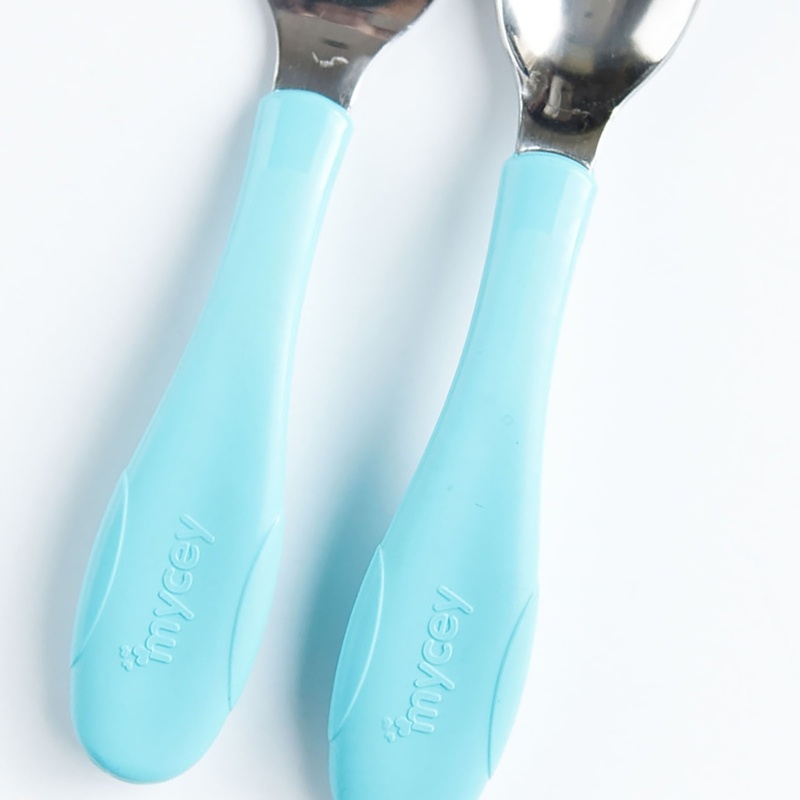 The cutlery designed for the comfort and easy use of the children have been coupledwith no-slip soft, wide, colorful handles. 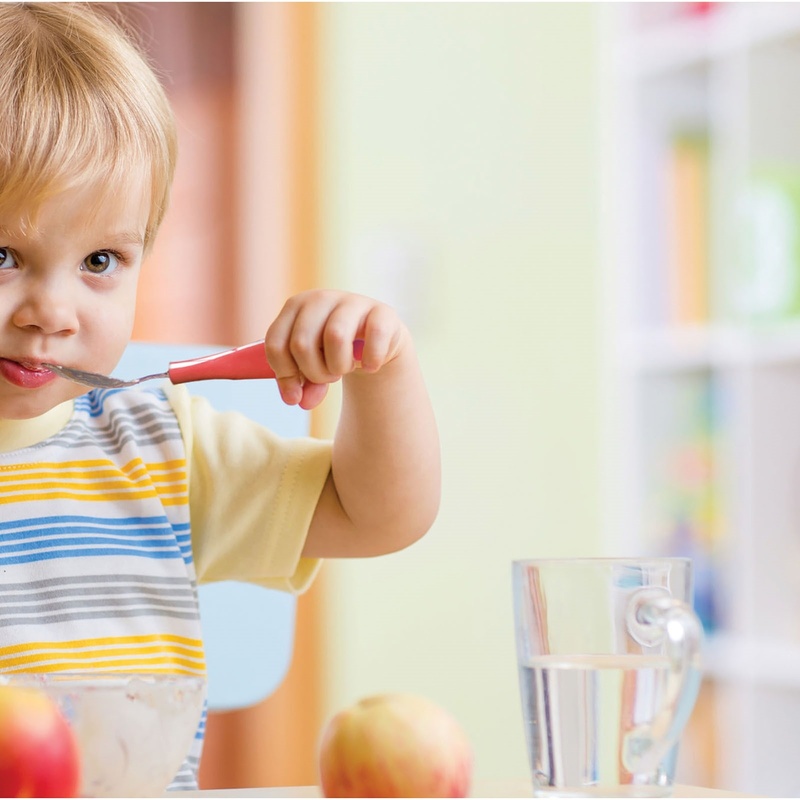 Your child will easily start to eat on his/herown. Cleaning properties: Clean with soap and warm water prior to first use. Clean with soap and warm water after each use. Package contents: 1 fork and 1 spoon. Guarantee conditions: The defective products as a result of production are replaced with a newone. Benefit to the baby: Ergonomical handles are ideal for feeding time.